Well, after around 10 to 12 weeks of rehearsing, opening night is finally here ... and I am in NO WAY READY!!! It doesn't matter how often I go through my lines and feel that even if I don't know the exact words I can work with it, as soon as I set foot at the venue - if not before - the adrenalin kicks in, my stomach ties itself into knots and my brain goes completely blank. Not the best of fight or flight responses if I can't even think of what to do - I doubt I would survive in the wild!!! 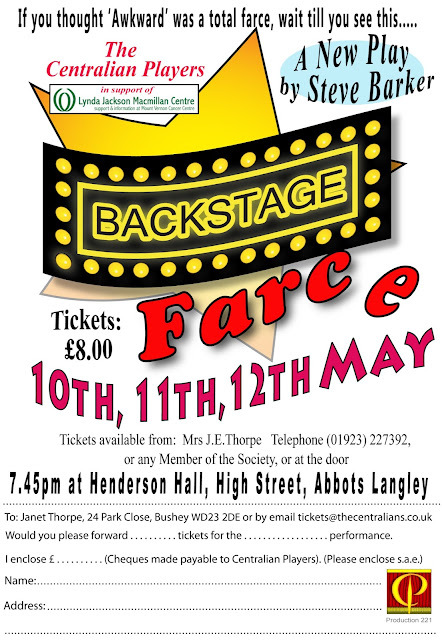 This has been a tough one to rehearse for a great many reasons, but we have had all the practice available and it is now time for cast and crew to assemble and put on a good show. 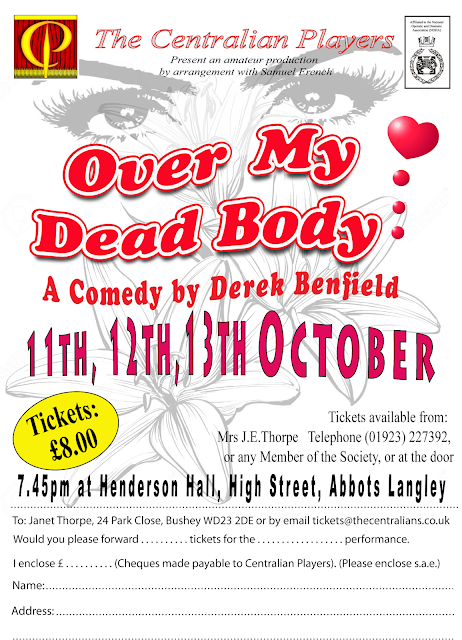 So, if you fancy seeing an amateur dramatics company performing a thriller over the next three evenings, why not pop along as there are still tickets available. You can find out more about the production, how to book tickets and about past performances at The Centralian Players website. If you do come along, please feel free to visit our Facebook page and leave a comment, send us a message on Twitter or add a comment below.